Because that little green robot haunts my nightmares. No, I’m kidding. Or am I? Let me start off by saying that Android is a phenomenal smartphone platform. This is not an article bashing Android. I don’t own an Android device myself, but I have used a few different Android phones, and I love what I’ve experienced so far. Sure, there are little things that could be fixed (I personally have always found that Android lags quite a bit) but all in all, it’s a serious contender in the smartphone market. But Android scares me. I am afraid of Android. When I think about switching exclusively to Android, I get a sinking feeling in my stomach. There are some fundamental problems with Android that makes switching to the platform a bad decision. Let me explain why. First a little background. About eight months ago, as I was getting ready to go off to college, I was looking at upgrading from my old Samsung quick-messaging phone to a smartphone. I finally had a job that made paying a smartphone bill possible, and I was ready to have a “serious” phone to head into college with. My plan was to switch to the HTC Legend, which (at the time) had just launched on Virgin Mobile here in Canada. I came very close to buying it, but in mulling over the possibility of owning an HTC Legend, I discovered that there are two big problems with Android: the hardware and the software. Which is … pretty much everything, isn’t it? Let me explain. There’s nothing wrong with Android hardware. In fact, Android phones are some of the most technologically advanced handsets on the market, but that in itself is the problem. 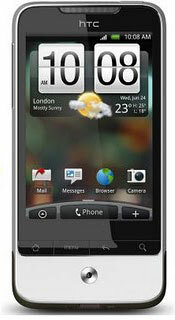 Look at 2010: we started the year with phones like the HTC Legend – a 600 MHz, 3G phone. By mid-year, those were rendered obsolete by phones like the EVO 4G – a 1GHz, 4G phone. And now, early 2011, those are being replaced by 1.2 GHz, and even dual-core Android phones. So, one year into a three year contract (editorial note: contracts in Canada are for three years as opposed to the two years you hear about so often in the United States – SPA) and you’ve already missed out on an entire “generation” of Android smartphones, with a new generation quickly moving in. I didn’t want to be stuck with a phone that would be outdated numerous times over the length of my contract, and I knew that the Legend would be. In terms of software, there are some big issues with Android updates. 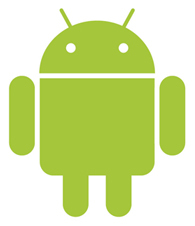 Google released three new versions of Android in 2010 alone (2.1, 2.2, and 2.3) though many of the Android phones out there now are still running 2.1 (some aren’t even there yet). This is a huge problem, and one that has caused many headaches for Android owners. Because of the numerous hardware configurations and UI skins, Android updates take their sweet time to make it onto customers handsets. The only possible solution for this is for Google to follow the approach of Microsoft and (to some degree) Apple and regulate Android. Microsoft retains control of Windows Phone 7 software, and they have set specific hardware requirements for handsets, meaning that when an update to the OS is available, it will run on every Windows Phone out there. They don’t have to worry about optimizing the OS for different processor speeds, RAM configurations, or UI skins. Apple supports iPhones with at least 2 years of iOS updates, so by the time support for your handset is discontinued, your contract is up (or you are upgrade eligible) and you can move on to something new. And at least, when the next iPhone does come out a year into your contract, you know you’ll get the most up-to-date software to satisfy you. Google needs to set out hardware requirements for Android, so that they can further fine tune and improve the Android user experience. And though it may be disappointing to some (mostly the manufacturers), Android skins aren’t necessary anymore. The functionality and “sparkle” they provided to customers in the beginning has been baked into (no pun intended) the latest Android update, Gingerbread. Google needs to ban custom UI skins, and allow customers to install Android updates to their phone from their computer, like iOS and Windows Phone. Software fragmentation is a big issue for Android right now, that needs to be addressed by Google. Maybe I was just worried about buyers remorse, but I felt no security buying an Android phone. I knew the hardware would be old news in a matter of months, and I knew there was no guaranteeing that my phone would be upgradable to the latest version of Android. At the pace these phones are being released, it doesn’t make sense to me to buy an Android phone, when I know that a few months later, it will be obsolete. So, am I alone in this? Is anyone else having fears or doubts about Android? This article was submitted by Eric Leamen, and has been edited only for spelling, grammar and punctuation. 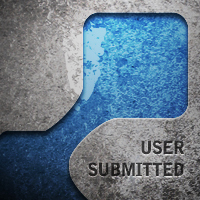 Any opinions expressed in a User Submitted article are solely those of the author and do not reflect that of TechnoBuffalo.com, its management, employees or its advertisers.